Recently I have been thinking a lot about ‘enough’. We live in a culture of ‘more-and-more’ and are never satisfied (think BLACK FRIDAY). While this fuels progress in some areas, I think it also contributes to a latent unhappiness. Striving for ‘enough’, rather than more, may be helpful. Once defined, ‘enough’ is a concrete destination, as opposed to the beast that is ‘more-and-more’. 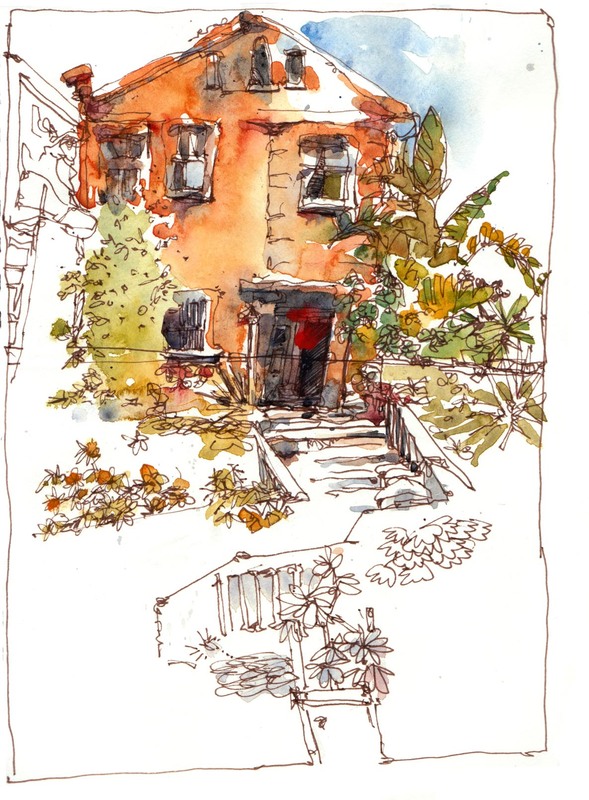 As I draw this house on Potrero Avenue in San Francisco, that’s the kind of stuff that goes through my head. Random, but very welcome. Amazing drawing. Feel like I want to see this house in San Francisco NOW. Thanks Emilie – you should stop by!